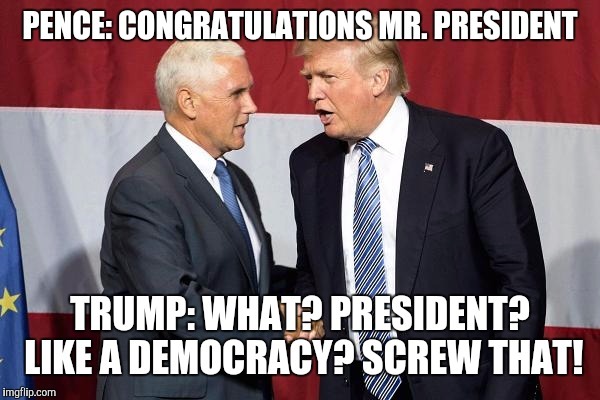 PENCE: CONGRATULATIONS MR. PRESIDENT; TRUMP: WHAT? PRESIDENT? LIKE A DEMOCRACY? SCREW THAT!